The mid-year tech news lull is in effect today as San Francisco celebrates July by being cold. Ah, summer. What would we do without you. This morning we are taking a look at Yahoo’s search deal with Mozilla, which could make the venerable Internet company less attractive — and therefore less valuable — to potential suitors. It’s a lesson in terms and timing. According to Recode, terms of the Yahoo-Mozilla search deal include annual revenue guarantees of $375 million from the Sunnyvale company. Notably, the agreement puts Mozilla in the driver’s seat in the event that Yahoo itself is sold. I wonder how Donald Trump would describe those terms, from the perspective of a Yahoo shareholder. You could attempt to calculate the value of the deal, which stretches into 2019 for Yahoo, to determine if it is a profit source. You could, but as the agreement allows Mozilla to decline the potential acquirer, it makes things stickier. How much less valuable is Yahoo if Mozilla intends to find a new partner, but keep the revenue stream? 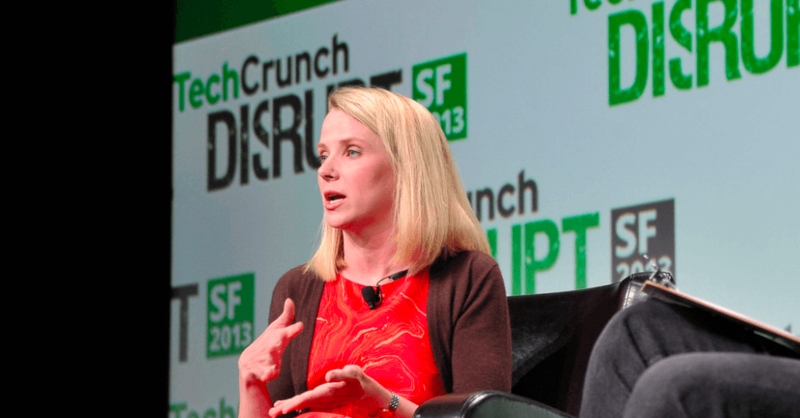 The cost of the deal is material to Yahoo. A total yearly payment of $375 million works out to just under $94 million per quarter. That’s around 8.6 percent of Yahoo’s most-recent quarter’s GAAP revenue. For comparison, Yahoo’s adjusted EBITDA was $147 million during the same period, or 13.5 percent of revenue. All that is to help you understand why Yahoo’s core business may be worth less than you imagined. And why the company’s purchase of a stake in Alibaba in ages past was so critical to its market cap maintenance. We have spent quite a lot of time together examining when private tech companies may go public. However, there is more to the public-private divide than mere dollars. 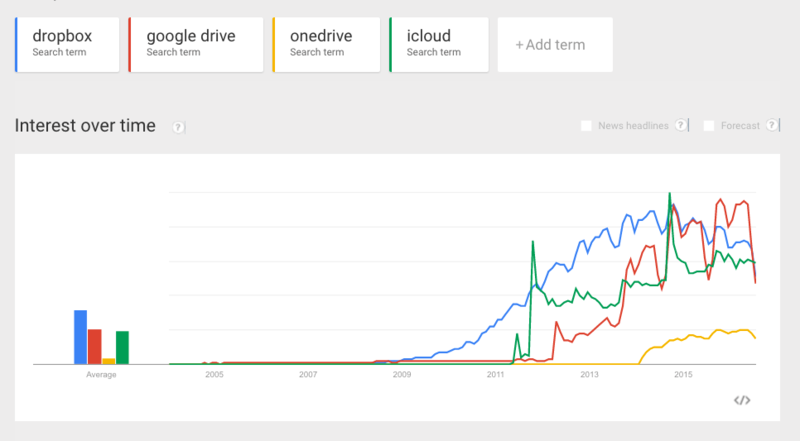 Here’s a fun chart that shows the competition between public and private players in the consumer cloud space. What does the chart tell you? Notable is the decline in primacy of Dropbox, compared to offerings from pubic companies. That, and Microsoft’s obviously limited share. I would include Box as a reference point, but its name makes it too noisy an entrant. Homework for the intelligent: What percentage of Dropbox’s value creation from a financial perspective came before its peak in the above chart, occurring in October of 2014? Then, work backwards to understand how the company might be valued today. It’s a good lesson in changing market expectations, and the turn from bull to neutral in the business cycle. It’s not too late to have more coffee. Get to it.